In previous studies, gut bacteria has been known to influence weight loss and weight gain. Recent studies showed that gut bacteria can be inherited as well. Previous studies establish the relationship between genes and gut bacteria that we inherit. 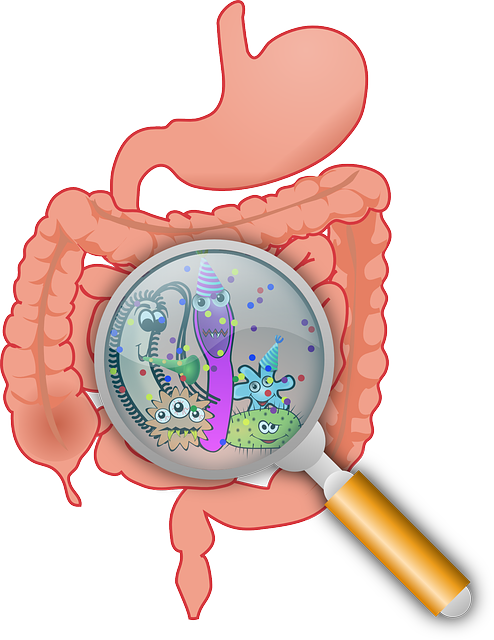 Gut bacteria influences the way our body stores food, our metabolic process and our ability to lose weight. It has been linked with diabetes and obesity as well. For instance, diabetic patients were found to have regular inflammatory condition of their gut, some form of gut infection or a leaky gut. Recent studies involving inherited gut microbes could be the answer to the growing obesity and diabetes cases in the US. According to research, it is our genes that determine which type gut bacteria should thrive in the body. There is a particular type of bacteria that is consistently present in persons with low body weight. When this type of bacteria was transplanted into mice, researchers found that it also protected the mice from weight gain. In humans, this type of bacteria can be transplanted later on to people with high risk of developing obesity and diabetes. The study showed promising results for developing management plans for people with these conditions. Researchers were able to point out that the protein TLR5 (toll like receptor 5) is the main component in the gut that controls excessive weight, fatty liver and the development of diabetes. TLR5 controls the growth bacteria that cause infection and inflammation in the gut. An experiment conducted in mice led the researchers to establish the connection between, gut bacteria, obesity and metabolic diseases. In the absence of TLR5, mice developed gut inflammation due to the proliferation of bad bacteria. In turn, they developed insulin resistance and an increase in food intake. Potent antibiotics were given to the mice and luckily, it was able to resolve the condition and thus reduce the risk for metabolic diseases. Unfortunately though, most of the bacteria, including the good ones were also eliminated from the gut. Here is the interesting part. When the gut flora of the obese mice was transferred to the lean mice, the latter ate more and eventually developed diabetes, similar to the overweight mice. This particular experiment actually nailed the connection between intestinal bacteria, genes and weight. Furthermore, the study found that mice with TLR5 deficiency did not subsequently have increased appetite than non-deficient ones. Rather, there metabolic processes were problematic. Whether food intake decreased or increased, TLR5 deficient mice still have insulin resistance. Other metabolic problems seen in the deficient subjects include inflammation of the hypothalamus and increase in insulin production. The former led to leptin resistance while the latter resulted to insulin resistance. Keeping a healthy gut is important when trying to lose weight and prevent diabetes. Taking probiotic drinks and food regularly should be part of one’s diet. Any intestinal pathogens should be eliminated from the gut as well. Eat the right kind of foods such as fermentable fibers and remove those that can contribute to the formation of toxin in the body.